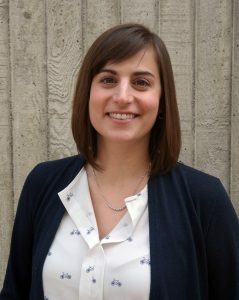 Karin joined JISAO’s Office of the Washington State Climatologist (OWSC) in November 2008 as the Assistant State Climatologist. In her eight years at OWSC, Karin has worked on a variety of different projects that have focused on Washington state and Pacific Northwest climate. The first statewide declared drought in 10 years occurred in 2015, and Karin’s recent work has been on focused on drought. Karin has been involved in both state and federal efforts to improve response time to developing drought conditions. For example, she has lead an effort to examine drought monitoring indicators and seasonal forecasting techniques as a part of the WA State Department of Ecology’s project to re-write the state’s drought plan. She also provides regular input to the United States Drought Monitor on drought conditions in WA state. Aside from drought, Karin has been involved in a number of research projects over the years, including analysis of western WA and western OR historical heat waves, linkages between heat wave characteristics and health, optimal network design techniques, and trends in potential evapotranspiration in eastern WA. She also writes the monthly newsletter for OWSC, is the primary point-of-contact for questions or data inquiries from the public, and updates their webpage (climate.washington.edu), among other tasks to keep OWSC running. Karin’s background is in meteorology and climatology. She received a B.S. in Meteorology from the Pennsylvania State University, and earned an M.S. in Atmospheric Science from The Ohio State University. Another core mission of OWSC is to participate in outreach – whether it’s in the form of giving a climate talk to adults or facilitating hands-on activities at schools or at the Pacific Science Center in Seattle. Karin enjoys this portion of her job, as well as recruiting volunteers for a nationwide precipitation-measuring program. She is the state coordinator for the program called Community, Collaborative, Rain, Hail, and Snow Network (CoCoRaHS for short) where volunteers measure precipitation (rain and snow) in their backyards. She would like to encourage any weather enthusiast readers to get involved in the program; more information can be found at cocorahs.org. In her spare time, Karin enjoys long distance running and has completed 4 half marathons to date. She also enjoys spending time outdoors with her husband, either hiking in the summer or snowshoeing in the winter (raised on the east coast, Karin never got the skiing bug that many others in the Seattle area have!). During the rainy months, Karin enjoys college football – which she now has many allegiances – and knitting. Her dream adventure vacation would be to explore more of Europe, particularly Italy where she has yet to visit and has family ties. Her dream relaxing vacation would be many weeks spent on a Hawaiian beach.